Yolo, the Italian insurtech, has closed a €5 million Series A investment round led by Intesa Sanpaolo’s investment arm, Neva Finventures, and Barcamper Ventures (Primomiglio SGR). The company aims to use this funding to accelerate the development of its insurtech platform, establish itself on the Italian market and launch its international development plan, as well as potential M&A operations. Yolo is a digital insurance services and brokerage group, founded by Simone Ranucci Brandimarte and Gianluca De Cobelli in 2017. It offers on demand policies that enable customers to access a new digital bancassurance model, as well as ad hoc solutions. Neva Finventures invests in fintech companies and start-ups in new markets and sectors, such as the circular economy and the data-driven economy. 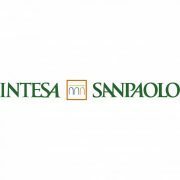 Alessia Truini, head of protection at Intesa Sanpaolo Assicura, will become the group’s representative on the Yolo board of directors. The app allows instant and pay per use products on a daily or monthly basis – from travel and flight insurance through to protection for smartphones and sports insurance. The new funding round follows on from the two previous rounds in 2017 and 2018 worth almost €2 million. For clarification, this Yolo insurtech has nothing to do with Vietnam’s new digital bank, Yolo.